The Clavicle Plate and Screw System is a comprehensive set of plates, screws and instruments designed to treat mid-shaft and distal clavicle fractures. The stainless steel plates are low profile and pre-contoured with locking and non-locking screw options in each plate. 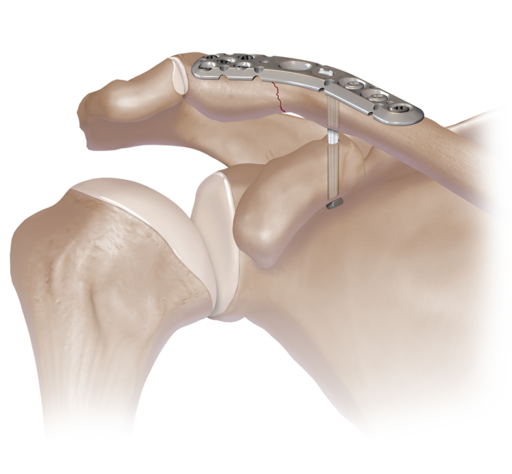 Secondary fixation to the coracoid is achieved through the plate using AC TightRope® implant technology, particularly the AC Dog Bone™ button.